Organizing Times | "It's Time to Organize!" A Blog Related to Activities of the Coalition for Economic Survival (CES) & More…..
A Los Angeles-area landlord is telling tenants that the company will cancel a new rent increase if a California rent control ballot measure fails in November, according to a letter obtained by a tenants activist. The letter, from Rampart Property Management, informs tenants of an apartment complex that their rents are increasing and cites Proposition 10, an initiative that would allow cities and counties to expand rent control, as the cause. Larry Gross, executive director of the Coalition for Economic Survival, said a tenant of a complex in Hollywood brought the letter Wednesday night to one of the twice-weekly tenants’ rights clinics his organization holds. The tenant’s current rent, Gross said, is $1,550 and is scheduled to increase to $2,250 on Nov. 1. Rampart Properties Management, which owns housing across Los Angeles County, is essentially blackmailing them into voting no on Proposition 10, the statewide ballot measure that will empower local communities to limit skyrocketing rents and address housing affordability. Gross condemned the letter as attempting to influence tenants to vote against their self-interest. “We see it as voter intimidation and extortion,” Gross said. CES has contacted attorneys to explore the possibility of taking legal action if this is a violation of the law. Both the Los Angeles Times and KCRW Radio have reported on CES’ allegations. 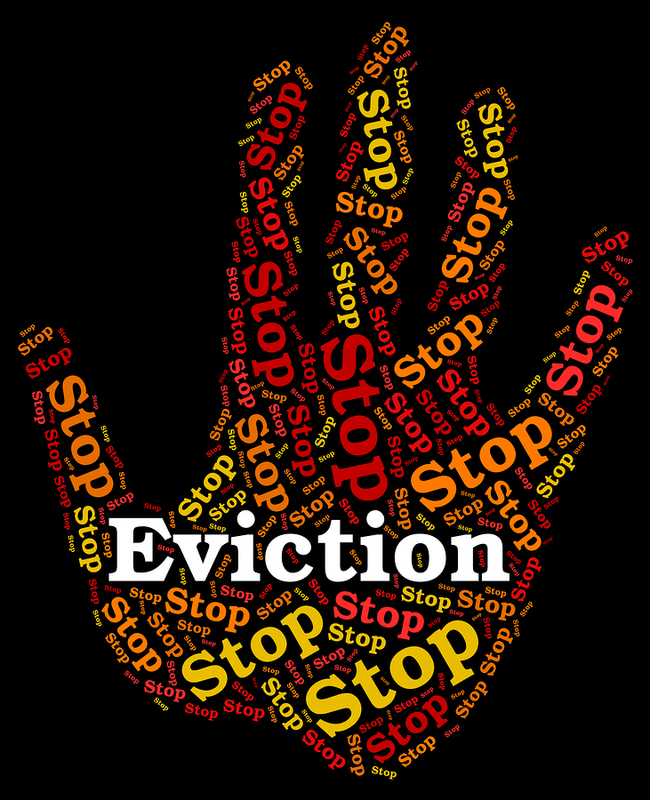 Two bills to provide Just Cause and added Ellis Act eviction protections went down to defeat recently with many Democrats joining with all the Republicans in the state Assembly. AB 2925, was introduced by Assembly Member Rob Bonta (D – Oakland). The bill would have prohibited arbitrary “no-cause” evictions of California tenants was voted down by a 30 (all Republicans and 10 Democrats) to 15 (all Democrats) vote with 33 Assembly Members not voting (all Democrats), which is essentially a ‘no’ vote on May 31. Particularly disturbing were the Democrats who joined with all the Republicans, in actually voting NO on AB 2925. They were Sydney Kamlager-Dove (newly elected), Anna Caballero, Ken Cooley, Jim Cooper, Adam Gray, Marc Levine, Evan Low, Jose Medina. Bill Quick and Rudy Salas. Also on May 31, AB 2364, introduced by Assembly Member Richard Bloom (D-Santa Monica) was voted down by the state Assembly by a 25 (all Democrats) to 36 (9 Democrats) vote with 17 (all Democrats) not voting, essentially a NO vote. The LA area Democratic member not voting: Burke (D), Caballero (D), Cervantes (D), Cristina Garcia (D), Gipson (D), Kamlager-Dove (D), Muratsuchi (D), Quirk-Silva (D), Santiago (D). AB 2364 would have closed loopholes in the Ellis Act that have allowed some landlords to displace tenants and raise the price of rent control units. Though misuse of the Ellis Act has existed for decades, the current housing crisis has exacerbated the problem. AB 2364 would have clarified the Ellis Act by setting one withdrawal date for a property, by requiring the entire property to be deemed back on the market if one unit is returned, and by increasing the length of time for which a property owner can be penalized for re-entering the rental market. The measure also eliminates the cap on punitive damages and clarifies that these changes are only prospective. It would have provided all tenants a 1-year notice instead of limiting it to only seniors and disabled tenants. Thank you and the Coalition for Economic Survival for your leadership and strong engagement in the effort to stop SB 827 this session. By working together and with other organizations, we were able to ensure that the constituents we serve and the members of the Senate Transportation and Housing Committee understood the flaws in this legislation and why it would not have spurred more affordable housing construction. We all agree that California desperately needs the construction of more affordable housing, near transit that serves our very low-, low- and moderate-income families. With SB 827 tabled for the year, let’s continue our work together to develop policy solutions that will address California’s affordable housing crisis. I look forward to our continued partnership. A controversial state senate bill that aimed to increase housing near public transit throughout the state will not move forward this year after it failed to get out of committee on Tuesday. SB 827, introduced by Scott Wiener, a Democrat from San Francisco, which would have allowed developers to build five-story condominiums and apartment buildings near rail stops, even if local governments and zoning codes prohibited developments of that size, failed to get out of the State Senate’s Transportation and Housing Committee. The Coalition for Economic Survival was joined by a long list of tenants’ rights organizations, community-based groups, legal services organizations, labor unions and California cities that included, Alliance for Community Transit-LA, Alliance of Californians for Community Empowerment (ACCE) Action, Western Center on Law and Poverty, Community Coalition, League of California Cities, Sierra Club, Los Angeles County Democratic Party and cities of Los Angeles and San Francisco in opposing SB 827. While everyone agrees that we need to build more housing, particularly affordable housing near transit, SB 827 was not seen as the answer by opponents. In fact many groups believe that SB 827 could have had an even more detrimental impact on our housing crisis by increasing gentrification, destroying existing affordable housing and displacing low income and working class tenants. SB 827 would have eliminated cities’ ability to regulate issues such as parking requirements, density and building heights within a half-mile of transit hubs or within a quarter-mile of major transit corridors. “Density for density’s sake doesn’t necessarily lead to affordability,” said State Senator Ben Allen (D-Santa Monica). Just like the Costa Hawkins Rental Housing Act and the Ellis Act, SB 827 would have handcuffed local government from addressing its particular affordable housing needs and result in imposing regulations that will increase displacement and gentrification. HOUSING CRISIS MADE WORSE – We all agree that we need to build more housing, particularly affordable housing near transit, but SB 827 introduced by Senator Scott Wiener (SF-D) is not the answer. In fact, SB 827 could have an even more detrimental impact on our housing crisis by increasing gentrification, destroying existing affordable housing, and displacing low income and working-class tenants. SB 827 would eliminate cities’ ability to regulate issues, such as parking requirements, density, and building heights within a half-mile of transit hubs or within a quarter-mile of major transit corridors. Just like the Costa Hawkins Rental Housing Act and the Ellis Act, SB 827 would handcuff local government from addressing its particular affordable housing needs and result in imposing regulations that will increase displacement and gentrification. SB 827 will allow for greater development near transit stops. Some of these areas consist of low-income neighborhoods and communities of color that already face extreme pressure from gentrification. By imposing much higher density and taking over zoning from local governments, the bill could result in these communities losing protections that prevent economic pressures from driving people out of their homes and replacing single-family homes with luxury units that are not available to people with moderate or lowincomes. The increase in the cost of land caused by the building of new luxury units can increase rents that further displacement. Displacement can force residents out into areas further from their jobs and city centers, increasing commute times and greenhouse gas emissions. While infill development near transit is necessary, this must be done in ways that protect existing communities and discourage displacement. SB 827 makes no accommodation to protect disadvantaged residents. SB 827 proponents say recent amendments address these concerns about tenants and affordable housing. THIS IS FALSE! There is no funding or resources provided to enforce and monitor the temporary relocation process. No definition of what comparable housing is or what it has to be. No tenant protection if the new construction takes more than 42 months, or if the project is sold or financing dries up. The tenants are then left out in the cold. Most tenants won’t return. Moving once is a tremendous burden, let alone twice. If tenants move back at the same rent, there is no rent control or eviction protections, thus tenants would face displacement from rent hikes they can’t afford and unjust evictions. Right to Remain is really only Right to Return. SB 827 would not undermine demolition protection for rent-controlled units and would provide affordable housing through inclusionary housing laws. But Los Angeles has neither demolition protections for rent-controlled buildings nor an inclusionary housing ordinance. Thus, there are no guarantees that new housing built under SB 827 would even be affordable for most of the people of Los Angeles or California. (Larry Gross is the Executive Director of the COALITION for ECONOMIC SURVIVAL (CES) and an occasional contributor to CityWatch Email: contactces@earthlink.net.) Edited for CityWatch by Linda Abrams. At a time when a historically high number of low-income households are struggling to pay rent and make ends meet, President Trump’s fiscal year 2019 budget proposes the most radical retrenchment of federal aid for such families since the U.S. Housing Act was first enacted in 1937. The Trump budget would slash aid that helps millions of low-income working families with children, seniors, and others afford decent, stable homes. The cuts are particularly striking in light of the new, Republican-driven tax law that will mainly benefit the wealthy and corporations and that’s expected to add $1.5 trillion to deficits over ten years. Cancel Housing Choice Vouchers for about 200,000 low-income households, 9 percent of the number the program now serves. The budget requests $18.6 billion to renew vouchers that families are currently using. This is $900 million less than HUD estimates will be needed to renew vouchers in 2018, and nearly $1.9 billion less than will be required in 2019 due to rent inflation and other factors, based on CBPP estimates. The cuts would hit extremely low-income seniors, people with disabilities, and working families with children hard, undercut communities’ efforts to reduce homelessness, and undermine the housing stability that children need to thrive. Cut public housing funding by $3.0 billion, or 47 percent, compared to 2017, not counting losses due to inflation. Public housing already faces more than $26 billion in repair needs such as fixing leaky roofs or replacing outdated heating systems and electrical wiring. Rather than proposing a realistic strategy for preserving this critical source of affordable housing — which has been a federal obligation since the program was created in 1937 — the Administration simply directs states and localities to fill the gap. Such massive cuts, which would follow upon deep cuts that have already been made since 2010, would further jeopardize the health and safety of public housing’s 2.2 million residents — a majority of whom are elderly or have disabilities — and sharply accelerate the loss of affordable units. Eliminate the HOME Investment Partnerships, Community Development Block Grant (CDBG), and Choice Neighborhoods programs, which give flexible aid to low-income rural and urban communities. Altogether, low-income communities would lose more than $4.1 billion a year to improve basic infrastructure like streets and water and sewer lines, provide life-enriching services to youth and seniors, build and rehabilitate affordable housing for low-income residents, and promote economic development. Eliminate the National Housing Trust Fund, which Fannie Mae and Freddie Mac currently fund through fees and which provided $219 million in 2017 towards state and local efforts to develop affordable rental housing for those who struggle most to pay the rent and make ends meet. These devastating cuts and policy changes would be imposed at a time when the number and share of low-income households facing severe challenges remain at historic highs, after more than a decade of unprecedented growth driven in part by the failure of federal aid programs to keep pace with the problem. Since 2001, the number of renter households with what HUD calls “worst-case housing needs” — meaning renters with incomes below half the local median who don’t have housing assistance and pay more than half of their income for rent or live in severely substandard housing — has risen 66 percent, while the number receiving rental aid has grown only marginally. We make sure a person gets [a] permanent place to stay — a safe place they won’t have to worry about losing every day. It’s amazing how such a haven can comfort and restore. It lends a sense of control to the individual, rebuilding their dignity and self-worth, which are essential cornerstones to self-improvement. Under the President’s 2019 budget proposal, however, even fewer people will share the benefits of a stable, affordable home. CES believes Measure S threatens to delay or stop projects that would otherwise provide affordable housing, and housing for homeless people. Measure S puts a two-year moratorium on development projects requiring certain zoning or height exemptions, and permanently prohibits developments requiring a general plan amendment. Thus, it could stop projects that would provide permanent supportive housing for people that are homeless – housing that voters approved with the passage of Measure HHH last November. Clearly, there is a great need for government action to protect neighborhoods and much more action is needed to preserve our existing rent controlled and affordable housing stock. In fact, this lack of action at City Hall, no doubt, opened the door for Measure S to make it to the ballot. Measure S does have some good provisions. The City should be updating community plans. Obviously, in response to Measure S, the City Council just voted to back an effort to update community plans more frequently. Additionally, developers should not be allowed to select environmental impact report consultants for their projects. But, it is our belief that Measure S is a sledgehammer approach that does not provide a solution. In fact, it may make matters worse. Measure S is not the answer and should be voted down. Does Not Stop rent controlled housing being demolished. In fact it may led to the destruction of rent controlled buildings. Measure S would provide an incentive to developer to destroy more rent controlled buildings. A two year moratorium on development targeted in Measure S could steer developers towards other types of development such as more demolitions and conversions of rent controlled housing to condos resulting in further displacement of low and moderate income renters. The Measure S moratorium, and its permanent prohibition on the City’s ability to issue general plan amendments, will be stop the building of affordable housing. Although the backers of Measure S claim to exempt affordable housing, Measure S does not actually exempt all 100% affordable housing projects from its reach, and would effectively stop 90% of city-sponsored affordable housing projects. It is for these reasons CES Urges You to Vote NO on Measure S!